Hi, my name is Jesse Altman. I am a certified Salesforce.com Developer and Java developer. Over the course of my career, I have come into contact with a multitude of technologies. Those technologies include Java, Flex, PHP, ASP.NET, MySQL, TSQL, Maven, Ant, etc. There are so many, it would take too long to list them all. My main focus at this point is Salesforce. I absolutely love the Force.com platform and spend as much time as possible developing in Apex and Visualforce. I am currently employed with FinancialForce.com working remotely as a Software Engineer. FinancialForce.com is one of the best known and fastest growing ISV partners on the AppExchange. The company has several successful products listed on the AppExchange including FinancialForce Professional Services Automation (PSA) for Salesforce, FinancialForce Accounting for Salesforce, FinancialForce Billing for Salesforce, etc. In Summer ’13, I was given the huge honor of being named a Force.com MVP. 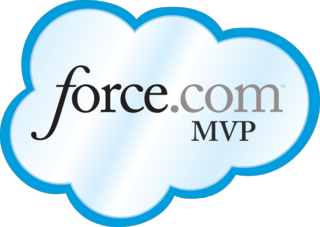 The Force.com MVP Program recognizes outstanding contributors and technological leaders in the Force.com cloud platform ecosystems. These Force.com MVPs are being called out for willingly sharing their expertise with others, demonstrating stewardship of the community in which they play an integral part, advancing the community body of knowledge and strengthening the developer network. I am a Penn State graduate. I received my Information Sciences and Technology with the Integration and Application option in May 2010 from the University Park campus. Before that, I spent two years at the Lehigh Valley Penn State campus. I was employed with Trifecta Technologies in Allentown, Pennsylvania from May 2010 to March 2014. I started off as an a Associate Developer in the Web Applications unit of the company. After less than a year, I transitioned into a Developer role and after about 3.5 years, I transitioned into a Project Manager role. During my time there I was able to interact with some rather amazing people and some amazing technologies. Obtaining this experience as a consultant was very valuable and rewarding. My first job in the field of development was with InfoGenius. I worked there while in college, developing in ASP.NET. I also helped manage some very large sites as a content manager such as: 411asp.net, Aspin.com, Jspin.com, and Codango. Working at InfoGenius was a great experience for me to have, and I truly appreciate the chance to work there. When I was 19, I decided to start my own company with a friend, Ronald Heft, as well. It was called Spiral Web Consulting. We ran that company for two years, doing various jobs. Most of our work was in PHP involving various aspects of WordPress. We made a nice live blogging tool as well as managed Google Analyticator. We had the opportunity to work with some large companies such as Google and gdgt. It was a great experience and helped me get the position I have today. For more information on my credentials, please visit my StackOverflow Career profile, LinkedIn profile, or visit my Salesforce StackExchange profile.